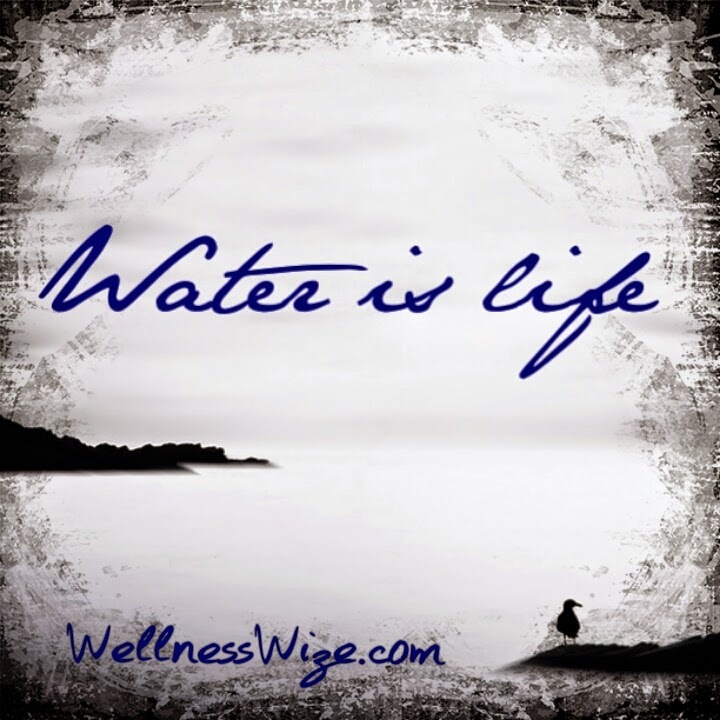 Wellness Wize: Do you struggle to meet your daily water intake? Do you struggle to meet your daily water intake? Since World Water Day passed recently, I thought this would be a perfect time to blog on the subject. If you are like most Americans this is probably an issue for you. According to Darin Olien, author of the amazing book Super Life and co-creator of my healthiest meal of the day, most of us don't even get in 25% of the recommended intake! Before I give you some suggestions on how to sneak and even enjoy more water in your day, let me remind you why its so crucial for our well-being. More then half of our body is composed of water! It is so vital to us to function properly. Our bones need it, our skin needs it, our intestines surely need it. Every single part of our bodies crave water in order to preform at optimal vitality . Our kidneys do a great job at filtering what goes in and out of our bodies but what happens when they are not fed properly? They shut down. Out of business. Not a great situation to be in. We must continue to nourish our bodies to live a healthy stress free life. So how much water do we actually need? Well there are a few old rules that have been over turned. First is the 8 glasses rule. Only 8 glasses a day!? That is only about a quarter of what the average person should be drinking. This is one of the reasons we are all out there sick, tired, and even stressed out! It is now recommend to drink half your weight in ounces. Now another one said to drink when you are thirsty. Well lets think about that one for a minute. What happens when you are thirsty? Dehydration sets in! You have a dry mouth, fatigue, headache, your skin will also start to dry out. What happens when your skin drys out? Wrinkles! Who wants that? Not I! Water can help you loose weight also. Drink a glass about 15-20 minutes before eating and not only will it help you to not over eat but it will also lubricate your intestines which will lead to better absorption of nutrients. Now comes the fun part. How can I get more water into my diet you ask? Well for one, eating more fruits and vegetables can help keep you hydrated. Watermelon is way up there but I'm sure that's no surprise. Strawberries actually contain the same amount of water as watermelon but what vegetable carries the most? Cucumber! Cucumber is a whopping 96% water. That is pretty amazing. Other great food sources are celery, cabbage, spinach, cauliflower, zucchini and tomatoes. YUM! 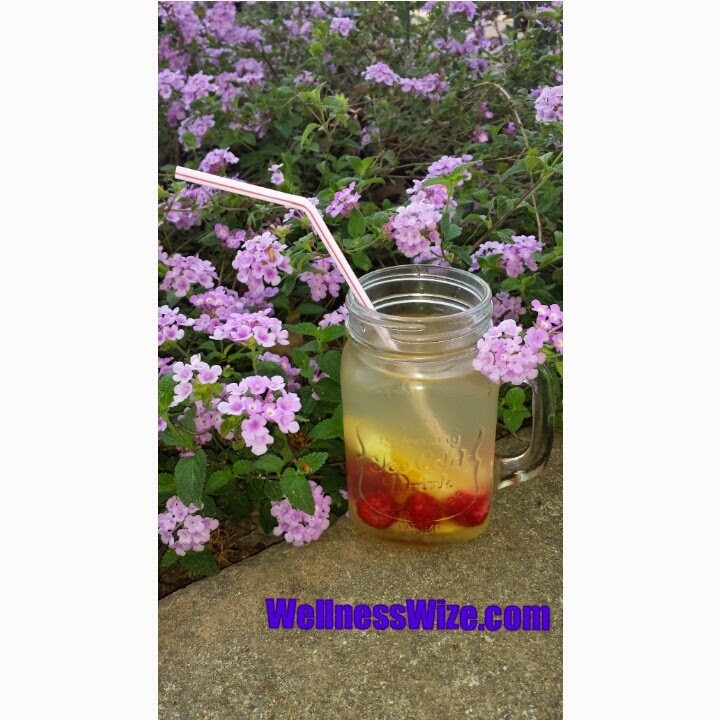 One of the most colorful ways to enjoy plain water is to spruce it up a bit by infusing it. This is a huge craze right now so you will also look "hip" doing it. BONUS! You can experiment here and add a few of your favorite veggies, fruits or even fresh herbs to your water and then you will have a H2O packed snack to look forward to at the end. Cucumber and mint water are very refreshing on a hot day. You can always freeze a few slices of your favorite veggies or fruit to act as ice as well. Here I made a delicious orange/raspberry. Here I have it marked for every half hour but you can make it for every hour if that is better for you. I suggest half hour because its best to keep your water intake steady. You can use different colors for AM and PM to make it more colorful and fun. So here is how it works. Lets say you weigh 200 lbs. Your daily intake would be 100 ounces. An average adults waking hours is about 15 but we will leave off that last hour so you don't have to get up in the middle of the night to use the bathroom. You will want to consume about 4 ounces every half hour. How did I get that? Simple divide 100(ounces) by 14(hours) to get 7.14285(and so on) then cut that in half and u get 3.5714(and so on). So round that up to 4 ounces every half hour. That's not much at all if you think about it. So why are most Americans living dangerously close to dehydration? Well if you drink caffeine, alcohol, soda(PLEASE don't!) or after an strenuous exercise or if your running a fever you will want to up your intake as well as if you are just out and about in warmer weather. A good rule of thumb is to at least not count all caffeinated beverages and soda but better yet to add on just as many ounces as that can of soda or coffee. So lets say you drink a 12 ounce can of soda. Do not count those 12 ounces as part of your water intake and add on an extra12 ounces of water on top that. This is especially important to do with every alcoholic drink your consume. Why do you get a hangover after a night on the town with a few cocktails? Because you are dehydrated, you didn't drink enough water! 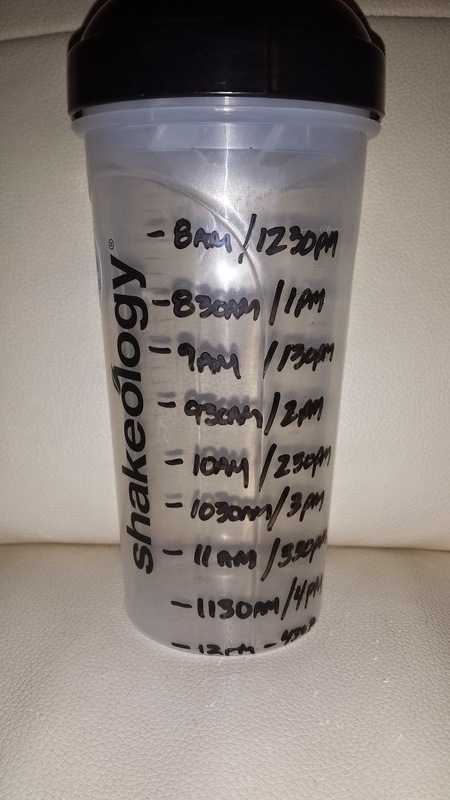 How can you tell if your getting enough water without having to count ounces? Well lets just throw in a little Dr Oz analogy. The lighter color your urine the better. Now of course vitamins, medication and even food can change the color but its still a great rule of thumb for most people. If you have any comments or suggestions to add I would be happy to hear them. Cheers!